Every now and then we come across a spot in the woods that somebody is clearing. 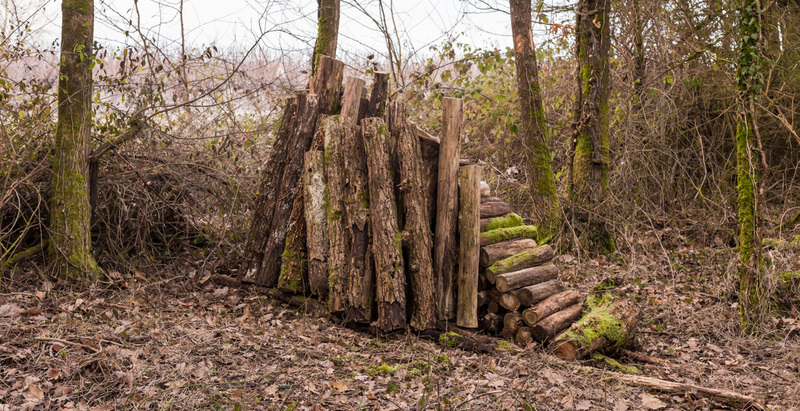 Property owners go in and cut down trees and stack the wood for firewood. They clear the undergrowth and re-open what were once tractor paths through the woods. I can think of at least four places along our walking paths where this has happened recently. The latest clearing is just at the edge of one of the vineyard parcels out back. In one place, a large clearing was created a few years ago, bringing light and air into that patch of the woods. Today, the clearing has grown over with saplings and other brush, leaving only a single narrow path that Tasha and I (and others, judging by the footprints) can pass through. I wonder if the owner will come back and clear the access again. This photo makes me miss the woods we had behind our old house. It's a wonder how quickly woods take over again. In Connecticut we were told that the state would be 70 percent forest if left alone.